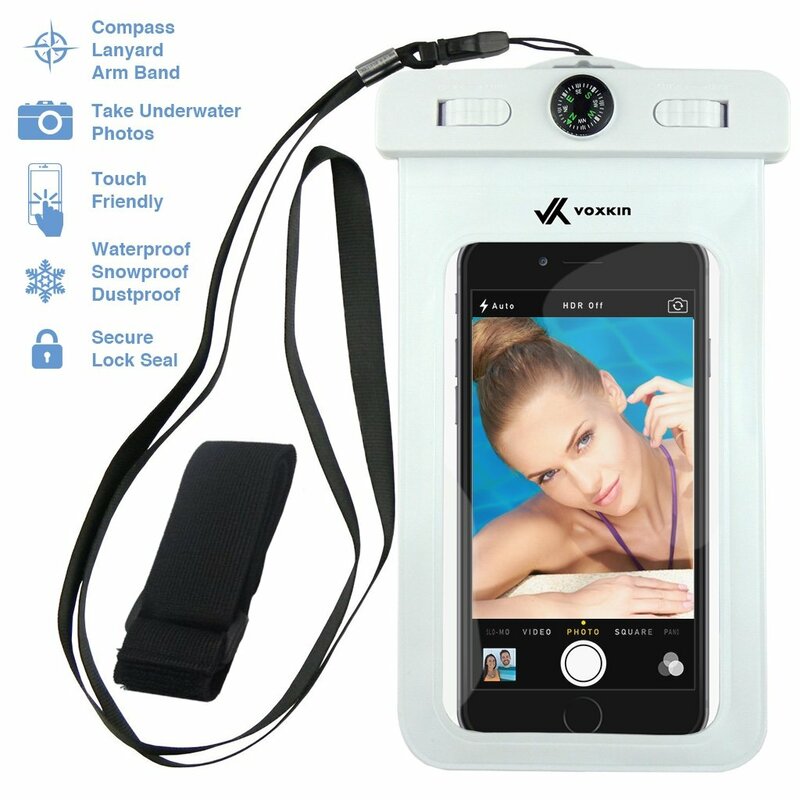 Home › Electronics › Voxkin Premium Quality Universal Waterproof Case For Iphone 6S 6 6 Plus 5 5..
Voxkin Premium Quality Universal Waterproof Case For Iphone 6S 6 6 Plus 5 5..
Did you have to skip many water sports activities just because you were too worried about your valuable belongings (phone, money, cards) getting wet? Well, you can do it all with our incredible Voxkin waterproof bag whichensures that your adventurous spirit remains high without the fear of losing any phoneor valuables. Now jump in the water, enjoy the rain, swim or take any rides in a water park and click as many underwater pictures or videos you like - yourphone remains safe How is our waterproof bag different from others? Premium and Stylish Appearance - unlike other waterproof bags 100% Waterproof - made of high quality material and went throughrigorous tests Touchscreen Works Even Underwater - letting you click as many picturesand videos you like Sharp Picture Quality - unlike other waterproof bags or cases availablein the market Comes With a Built-in Compass - that adds to elegance and is a valuablegadget when you are lost Comes With an Armband as Well as a Lanyard - phone stays with you evenin strong sea waves Transparent Front and Back - ensures you can take pictures/videos fromboth cameras Excellent Sound Quality - speak and hear clearly via your phone eventhrough the waterproof bag Floats on Water - Never be worried when it accidentally drops atswimming pool, sea or river. It will float as it's buoyant Multiple ways to use it Use it while running or jogging at the beach - by using the armband Carry it hands-free by using a lanyard or Hold it in hand and click pictures - safe due to its superior grip You are also backed by our 100% MONEY BACK GUARANTEE We cannot guarantee this special pricing in future, so be sure to Order Now!